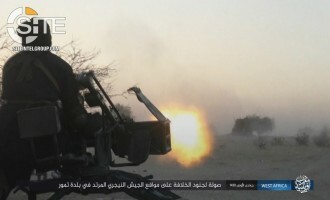 The Islamic State's (IS) Khorasan Province claimed seizing control over 11 villages in Laghman in eastern Afghanistan from the Afghan Taliban. 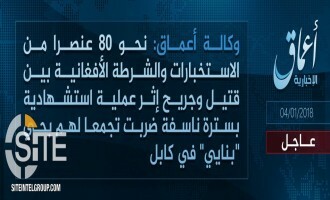 The Islamic State (IS) claimed the assassination of a Somali Special Forces element in the country’s Lower Shebelle region. 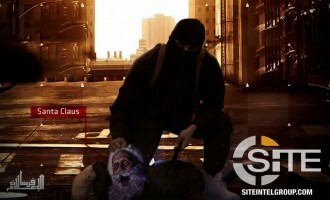 A pro-Islamic State (IS) group published an English comic depicting the beheading of U.S. President Donald Trump, in addition to lone-wolf guides in English and Dutch. 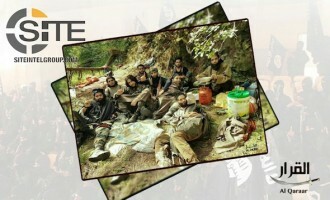 The leader of an Islamic State (IS)-pledged group in Kashmir appeared in a photograph with fighters in a jungle. 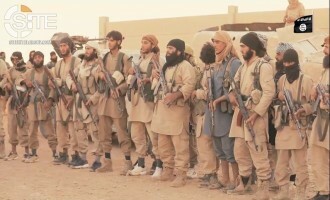 The Islamic State’s (IS) Khayr Province, its division in Deir al-Zour, Syria, released a video in which fighters shame those who deserted its ranks, and showing a raid on two villages and the murder of tribesmen charged with belonging to the Syrian regime. 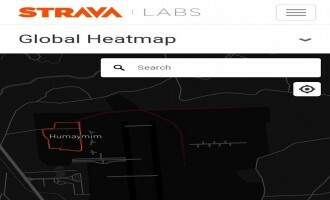 A jihadist noted reports that fitness tracker applications reveal the locations of secret military bases, and another urged the Islamic State (IS) to capitalize on this information for mounting strikes. 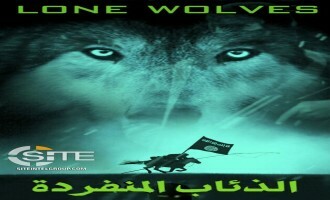 A pro-Islamic State (IS) Telegram channel focused on incitement of lone wolves in the West is redistributing group propaganda to that effect, including motivational chants and an English-subtitled IS video. 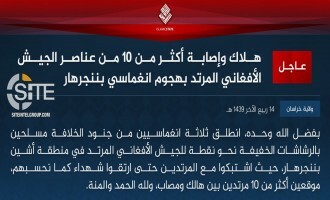 Khorasan Province of the Islamic State (IS) claimed killing and wounding over 100 in an attack on the Marshal Fahim Military Academy in Kabul. 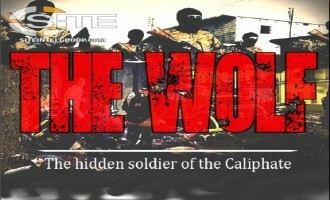 The Islamic State (IS) released a video for an English nasheed (chant) inciting lone wolves to rise up and kill the enemy, and promoting the actions of past IS-inspired attackers. 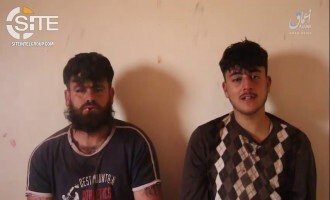 The Islamic State (IS) captured another two Syrian soldiers amidst its ongoing battles in Idlib and provided a video of the POWs through its 'Amaq News Agency. 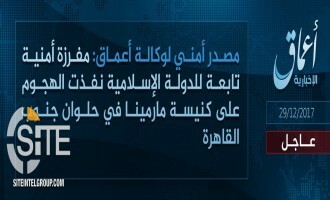 The Islamic State's (IS) 'Amaq News Agency reported that group fighters killed a finance official in the Somali town of Afgoye and released a video of the body. 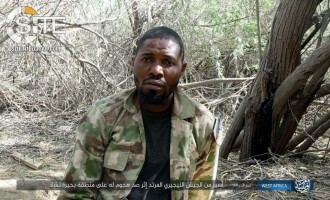 The Nigeria-based West Africa Province, a division of the Islamic State (IS) comprised of former "Boko Haram" fighters, published a photo report on its January 18, 2018, attack on Nigerien soldiers in Toumour village in Niger's Diffa region. 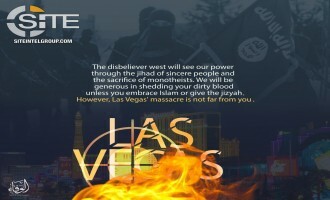 The pro-Islamic State (IS) Wafa' Media Foundation directed a warning poster to Westerners, reminding them of the IS-claimed October 1, 2017, Las Vegas shooting. 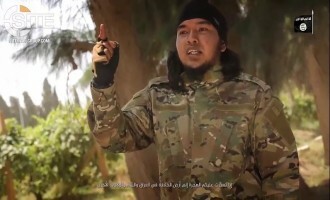 Kazakh Islamic State (IS) fighters in Deir al-Zour, Syria, were made the centerpiece of a video calling on their fellow countrymen to rise up against their government. 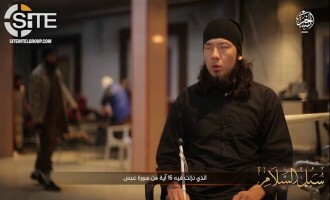 After the Islamic State (IS) published a communique for a suicide bombing on SDF in Deir al-Zour, and revealed its executor as a disabled fighter, group supporters distributed a video highlighting his disability as not holding him back, and using him to shame the able-bodied who abandon jihad. 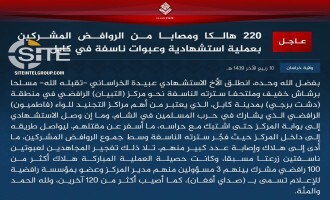 The Islamic State’s (IS) Khorasan Province claimed killing a U.S. soldier and wounding Afghan forces in Nangarhar and killing and wounding more than 34 Afghan Taliban fighters in Jowzjan following two operations. 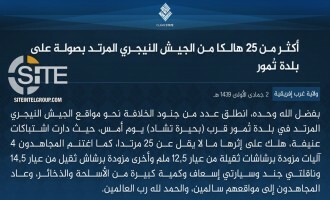 The Islamic State's (IS) West Africa Province claimed killing over 25 Nigerien soldiers in an attack on their positions in Toumour village in Niger's Diffa region. 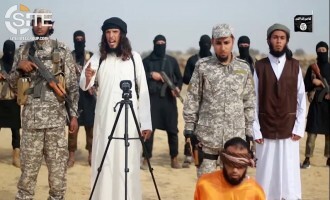 Since launching its military offensive in Syria's Idlib governorate on January 10, 2018, and taking a total of 18 Syrian and pro-regime forces prisoner, the Islamic State (IS) has begun executing them, posting photos of beheading three. 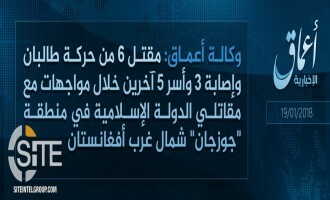 'Amaq News Agency reported that the Islamic State (IS) captured five Afghan Taliban fighters during clashes between both sides in Jowzjan province in northern Afghanistan. 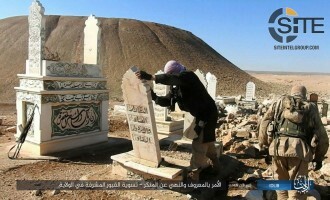 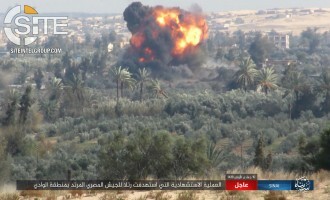 The Islamic State’s (IS) Idlib Province published photos of its members destroying a gravesite in the area. 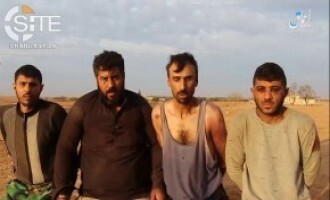 The Islamic State (IS) reported that its fighters captured another three Syrian soldiers during their ongoing offensive near the Abu Duhur military airbase in southern Idlib, and 'Amaq released videos of the POWs. 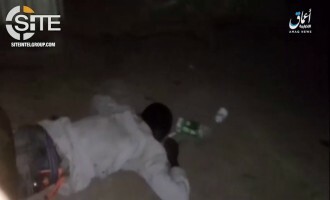 'Amaq News Agency reported that the Islamic State (IS) killed a Somali intelligence member in Afgoye, a town in Somalia's Lower Shabelle region, and provided a video of the dead body. 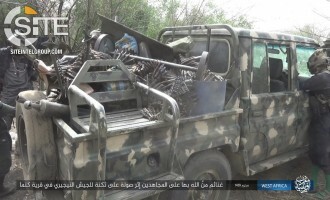 The Nigeria-based Islamic State (IS) division, West Africa Province, published photo of a Nigerian soldier taken soldier and ammunition and vehicles captured as war spoils following a clash in the Lake Chad area. 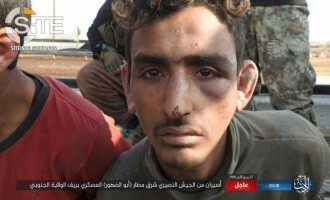 The Islamic State's (IS) 'Amaq News Agency reported that the group captured a sixth Syrian soldier amidst clashes in Idlib, and released a video of the POW. 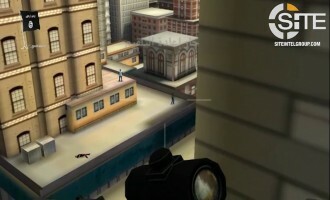 An Islamic State (IS) supporter used footage from the video game "Sniper 3D Assassin: Shoot to Kill" to promote hunting of the enemies to lone-wolf jihadists. 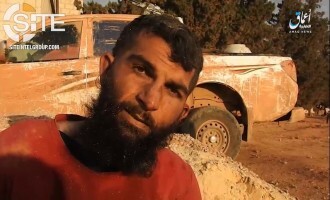 The Islamic State’s (IS) ‘Amaq News Agency released a video showing four Syrian soldiers taken as POWs by the group in Idlib, with one giving a panicked speech on the circumstances of their capture. 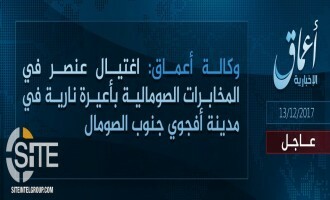 For the first time since its May 2017 suicide bombing on Ahrar al-Sham fighters, the Islamic State (IS) claimed operations in Idlib, both of which hit Syrian soldiers. 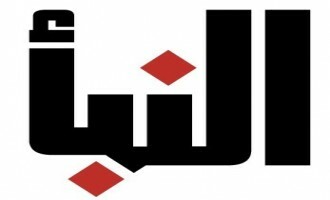 A female unit within the pro-Islamic State (IS) Wafa' Media Foundation published posters offering advice to women on internet security and workplace prohibitions. 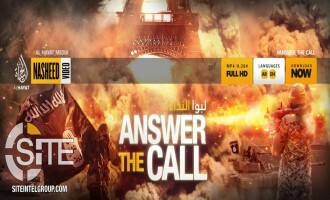 A pro-Islamic State (IS) group calling itself "Abd al-Faqir Media" released the first episode in a series titled "We Will See It Soon," showing a hypothetical IS airstrike on American centers. 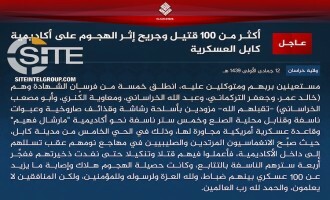 The Islamic State's (IS) Khorasan Province claimed inflicting nearly 80 casualties in a suicide bombing on Afghan intelligence and police in the capital of Afghanistan, Kabul. 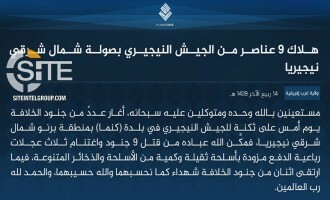 The Islamic State's (IS) 'Amaq News Agency reported that a group fighter carried out a suicide bombing on Afghan police and intelligence agents in Kabul, killing and wounding nearly 80. 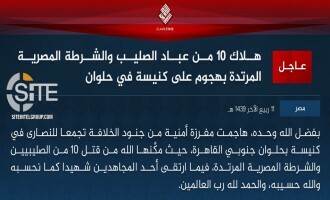 The Islamic State’s (IS) Khorasan Province claimed killing and wounding over 10 Afghan soldiers in a three-man suicide raid on their position in Nangarhar. 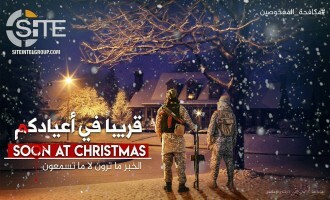 In a video from its “Khayr Province,” which encompassed Deir al-Zour, Syria, the Islamic State (IS) reiterated its call to lone wolves in the West to mount attacks during the holidays. 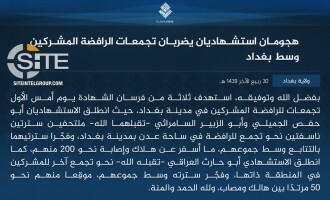 The Islamic State's (IS) Khorasan Province issued a formal communique claiming credit for the operation at the Shi'a Tabayan cultural center in the Afghan capital, Kabul. 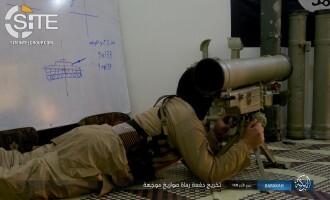 American IS Fighter Calls Lone Wolves to Strike in U.S., Tells Trump the "War on Islam" Made Country "More Vulnerable"
The Islamic State (IS) released a video of a one-legged American fighter calling on lone wolves in his homeland to strike, and telling U.S. President Donald Trump that the “war on Islam” made the country “more vulnerable”. 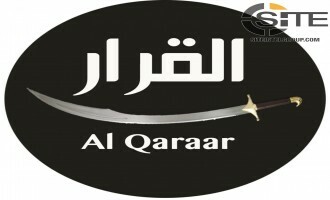 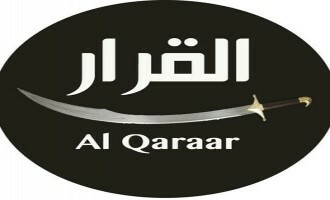 Al-Qaraar, the media group that published the video of an Islamic State (IS)-pledged Kashmiri group, identified the leader of that unit. 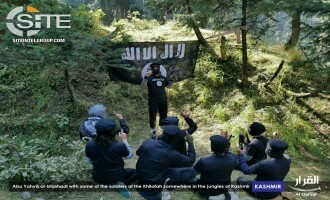 The Islamic State’s (IS) Khorasan Province published photos of a graduation from a training camp in Kunar, Afghanistan, named in honor of slain IS military commander Abu Umar al-Shishani. 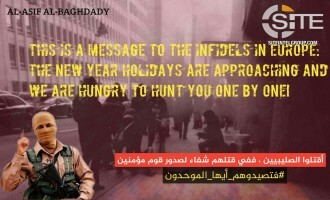 In its inaugural official video from Somalia, the Islamic State (IS) urged supporters all over the world to "hunt down" disbelievers during the holiday season and to strike churches and markets, and featured fighters calling on their brethren to fight. 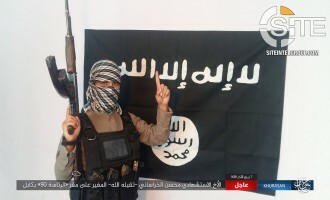 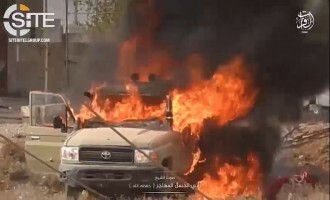 The Islamic State's (IS) Khorasan Province claimed killing over 30 elements from the Afghan National Directorate of Security (NDS) in a suicide bombing at their headquarters in Kabul. 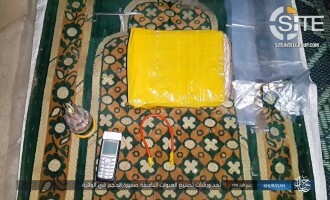 A pro-Islamic State (IS) Telegram channel gave tips to lone-wolf jihadists, including making poisons from easily-available materials and burning various locations at night. 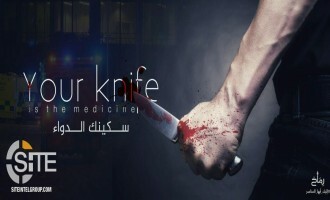 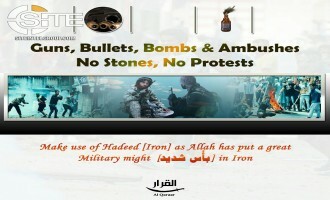 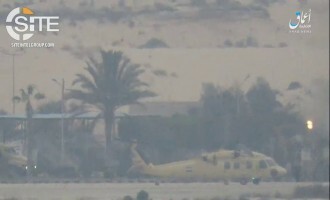 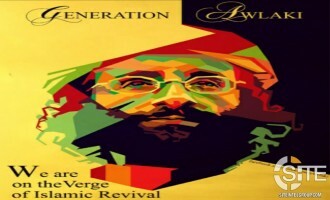 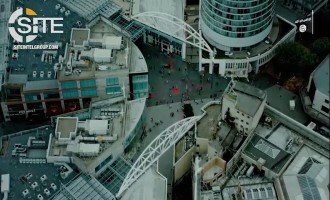 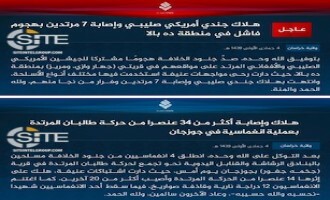 The graphic was shared in English, French, and Arabic. 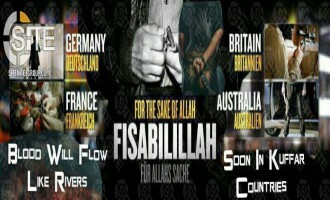 Following news that a 32 year-old man plowed an SUV through crowds of people near Melbourne’s Flinders Street Station, SITE is reissuing a September 27, 2017 dispatch about a pro-Islamic State (IS) Telegram channel’s posting of an implied threat against that very station. 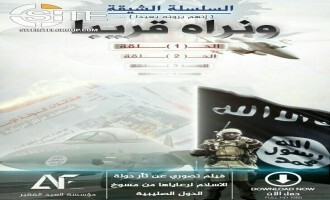 A pro-Islamic State (IS) media group calling itself "Dera' al-Sunni Foundation" published a magazine borrowing the news format of Naba, the IS' weekly digital newspaper, and combining it with threatening posters and weapons manuals. 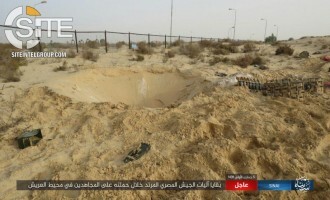 An Islamic State (IS) supporter gave 17 tips in Arabic and English to lone-wolf jihadists, including a train derail idea and a suggesting to burn churches, markets, and important factories. 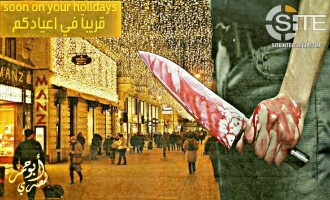 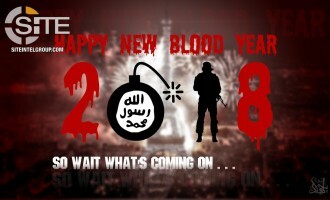 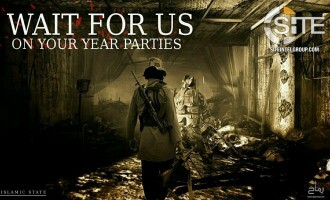 Islamic State (IS) supporters have increased their output of propaganda threatening attacks in the West as Christmas and New Year's Eve approach. 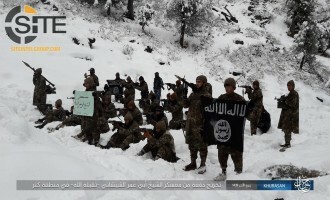 The Islamic State's (IS) Khorasan Province claimed killing and wounding 150 Afghan security forces in a two-man suicide raid on an intelligence training center in the capital, Kabul. 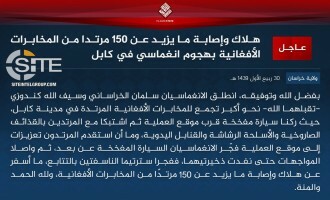 The Islamic State's (IS) 'Amaq News Agency reported that over 150 Afghan security forces were killed and wounded in a two-man suicide raid on an intelligence training center in the Afghan capital, Kabul. 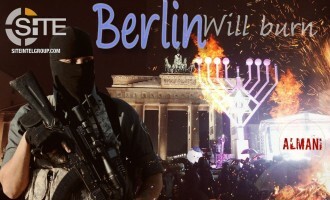 IS Supporter Threatens "Berlin Will Burn"
An Islamic State (IS) supporter published a posted threatening "Berlin will burn". 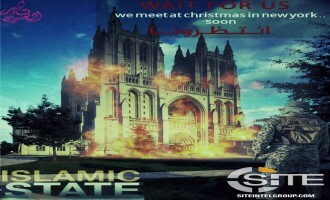 Islamic State (IS) supporters continue to threaten holiday attacks in the West, with one using an image of the Washington National Cathedral in Washington, D.C., to warn New York City. 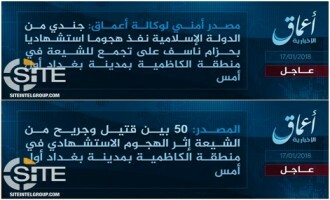 The Islamic State's (IS) 'Amaq News Agency reported two attacks by group fighters in Somalia in one day, with one in Puntland and the other in Lower Shabelle. 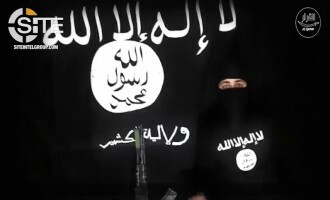 Displaying U.S. President U.S. Donald Trump and Israeli Prime Minister Benjamin Netanyahu as Islamic State (IS) prisoners in orange outfits, an IS supporter threatened over the former's recognition of Jerusalem as Israel's capital. 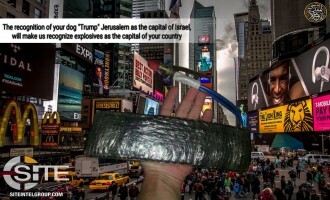 A pro-Islamic State (IS) media group portrayed the attempted terror attack at the New York City Port Authority as a response to U.S. President Donald Trump recognizing Jerusalem as Israel’s capital. 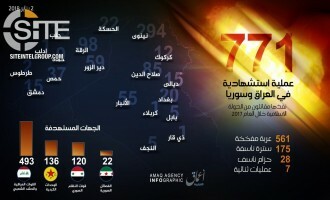 The Islamic State (IS) responded to U.S. President Donald Trump recognizing Jerusalem as Israel's capital in Naba 109, and published an infographic reviewing statistics and important operations by its fighters against American soldiers in the last year.